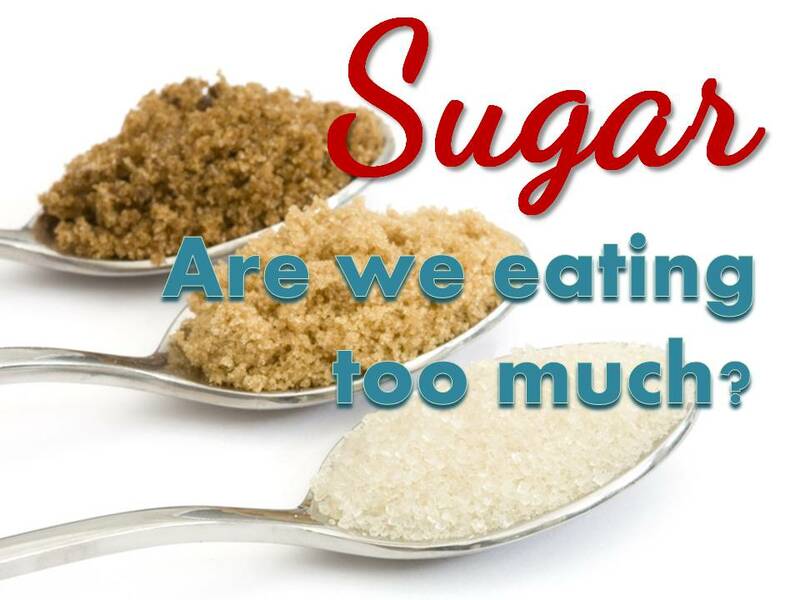 Sugar – are you eating too much? Whenever I ask clients what they crave, no one tells me that they crave chicken or tuna, they always crave something sweet, like chocolate or cake. Now maybe you are someone who craves salty, like chips, but underneath that layer of salt, is carbohydrate from the potato, which turns into sugar in our body, so in the end, it is still “sweet”. As humans, we have a natural affinity for sugar. Babies are born having a liking for all things sweet. Back in primitive times, when we hunted for food, sugar (usually as honey) was a highly prized commodity. A sweet taste also tipped man off to safe and edible foods whereas bitter tasting foods often signaled dangerous or poisonous substances. …And the majority of us are no longer picking berries of trees, and so we no longer really use sugar as means to determine if a food is poisonous if we eat it or not. How much sugar are we eating everyday? 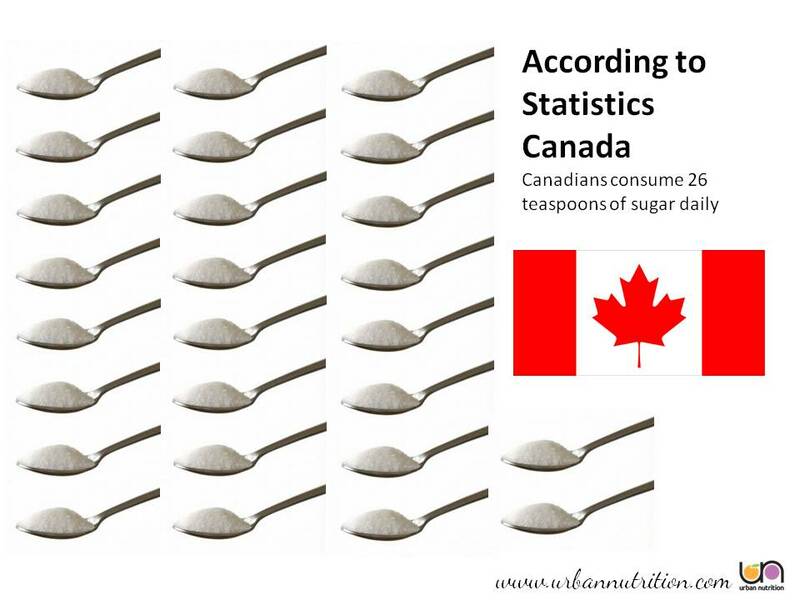 Statistics Canada says we are eating up to 26 teaspoons of sugar per day. 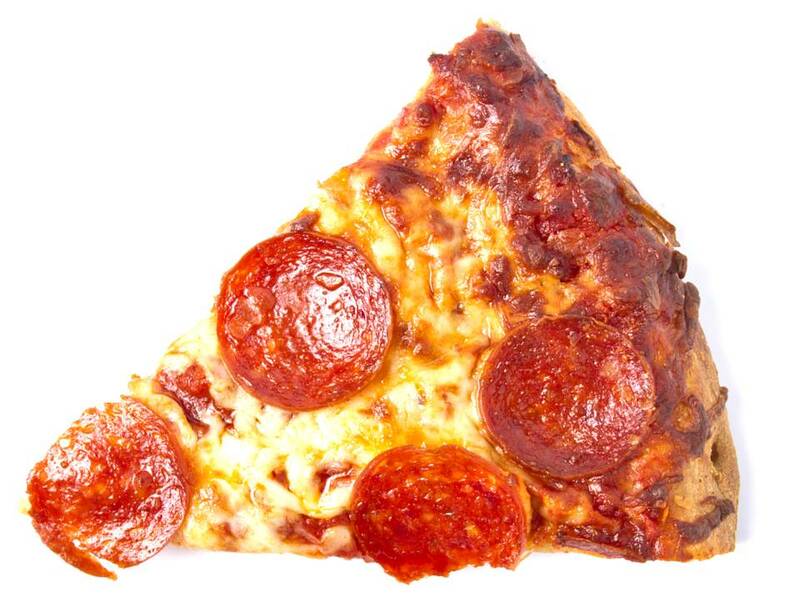 Did you grow up eating pizza? I did. Every Friday night was pizza night at my house when I was a kid. I remember competing with my brother Andrew to see who could eat the most pizza at one sitting. Yes, that was me. And you know what? In the spirit sibling rivalry, one night I ended up eating a whole pizza. And I’m not referring to a healthy pizza recipe my mum followed and then made from scratch or even one of those small thin crust Dr Oetker pizzas. I’m talking about a medium pan pizza from pizza hut. 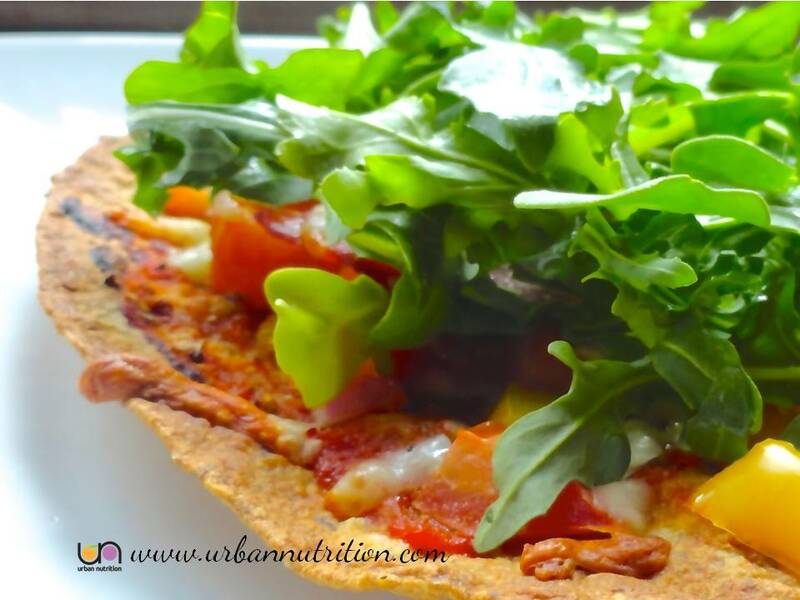 Which by the way has a whopping 320 calories per slice, 18 g fat and 26 grams of carbohydrate in per slice. Take that times 8 slices and yes I actually ate enough calories at one meal to nearly gain 1 pound. Flash forward 20 years and I no longer compete with my brother to see who can eat the most food…thank God…but I do still love pizza. The difference though now compared to when I was a teenager is that my body just doesn’t handle it quite the same. I was never bloated as a kid. Now, that is a different story. Lactose intolerance was something that happened to other people, but now, I am that person! Did you know that about one-third of the most common cancers can be prevented by eating well and staying in shape? What is a healthy diet for preventing cancer? A diet that focuses on plant foods is key. 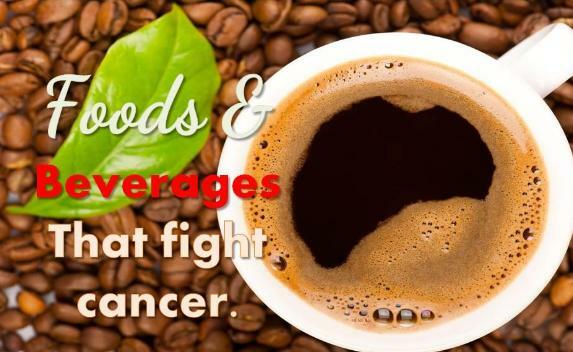 The AICR has listed 18 top beverages and foods that fight cancer, and to get you started, here are 5 foods you can add to your diet today. 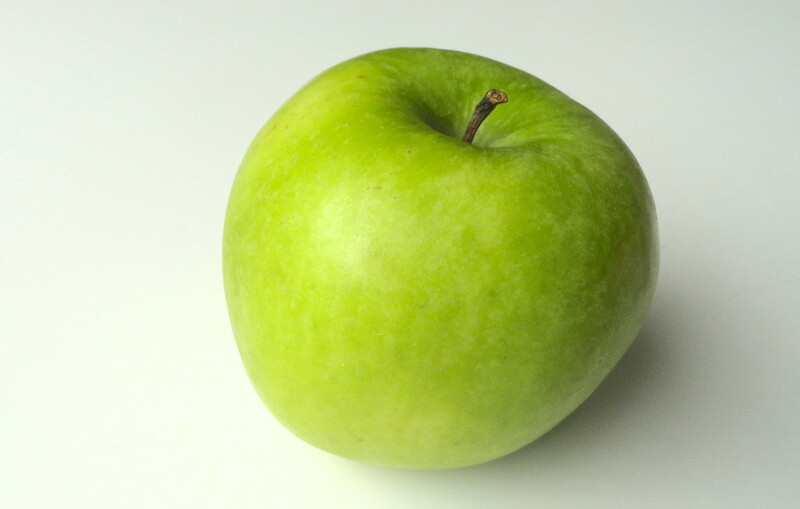 Bacteria in the gut can use pectin in apples to protect colon cells. 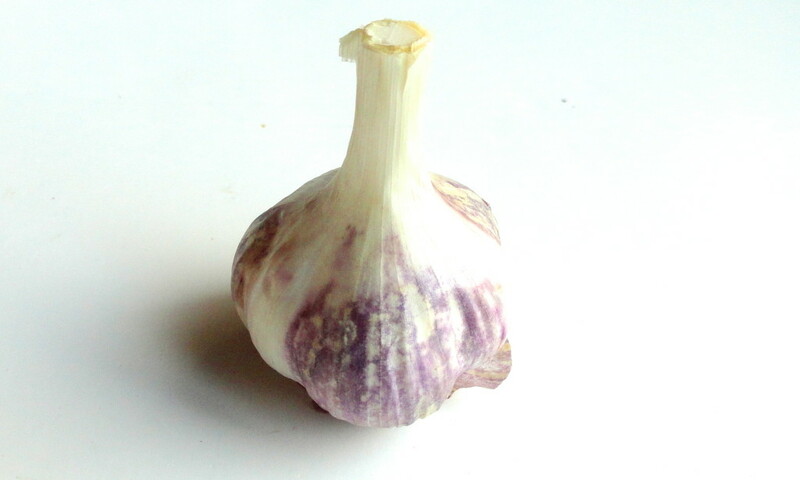 Garlic is part of the allium family of vegetables, which also includes onions, scallions, leeks and chives. Research has shown that a specific compound in garlic can kill leukemia cells in the laboratory. 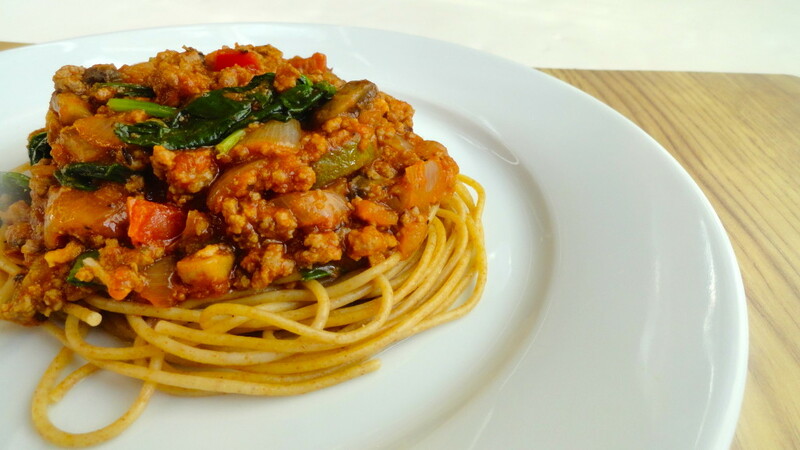 An easy tip to boost nutrition and cut the calories and carbohydrates when eating pasta! I am a fan of pasta. Spaghetti and meatballs was a regular dish on the menu at home when I was a kid, and to this day it is still one of my favorite dinners. At that time of course I never even thought twice about calories and carbohydrates, nor did I care about the fact that there was only a tiny amount of vegetable on my plate when I was a kid. But now I do. 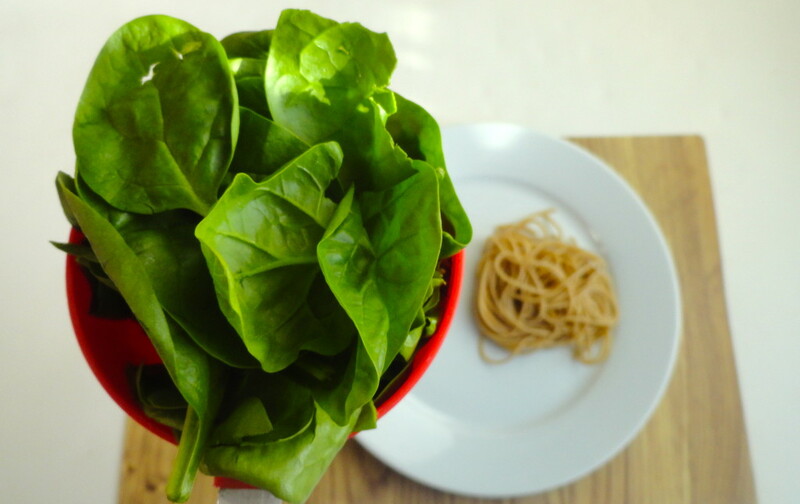 Now I am obsessed with finding easy ways to boost the nutrition and health of a dish, without having to spend hours in the kitchen, and my favorite way to do it with pasta, is by adding spinach. 1 cup of fresh spinach has only 7 calories….7 CALORIES!!! So feel free to load up on as much as you like. 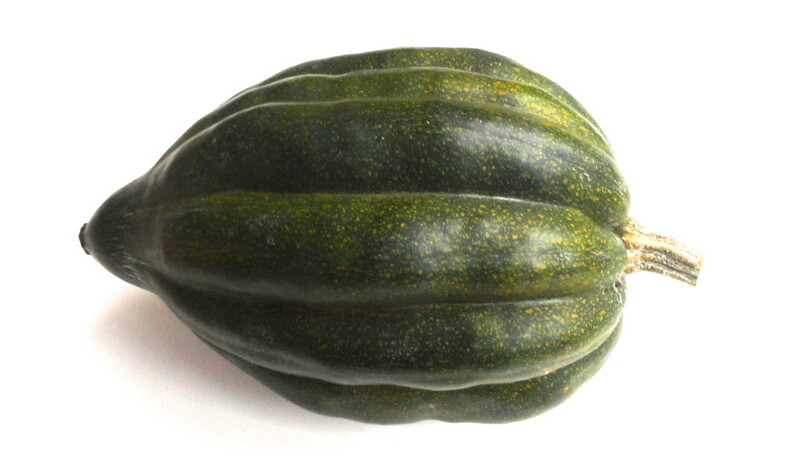 It’s packed with vitamins, including vitamin A, C, K and folate, which supports cell production for hair, skin and nails and may protect against cancer. 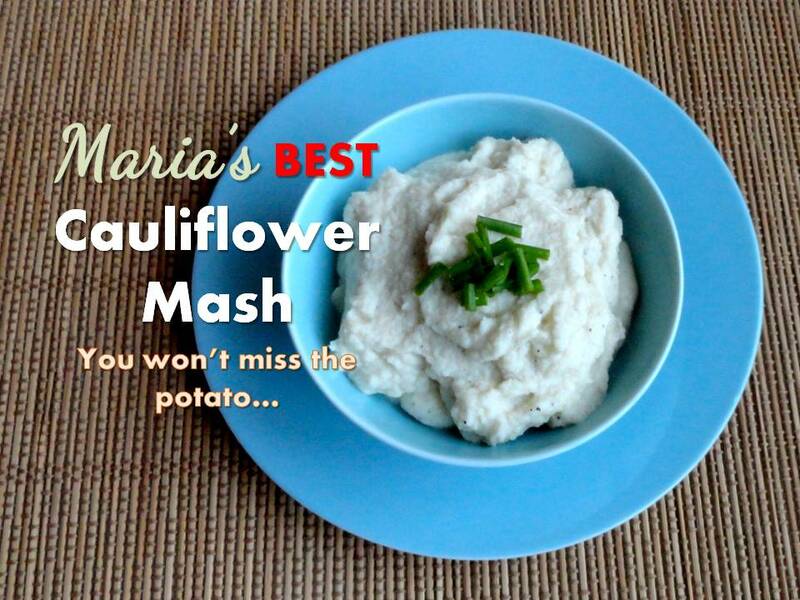 Maria’s Best Cauliflower Mash Recipe! The best darn cauliflower mash recipe…and it’s quick and easy too! I can honestly say, I never thought these 4 words would ever come out of my mouth. What 4 words you ask? If you haven’t tried it before, now is the time. Even my husband likes it. It is so easy and shockingly delicious you won’t even think about the fact that it’s not potato. You can make it in about 10 minutes and you only need 4 ingredients…Have I convinced you to give it a try? Cauliflower is one of the most versatile vegetables, and it is packed with cancer fighting antioxidants. Additionally in this cauliflower mash recipe, one serving has 6 grams of fibre, 5 grams of protein and only 60 calories! I shared a recipe for whole Roasted Cauliflower with Lemon, Olive Oil & Cumin a while back, which was tasty and didn’t require much prep time (no chopping), but this mashed cauliflower recipe is an awesome alternative to mashed potato, and even mashed yam.